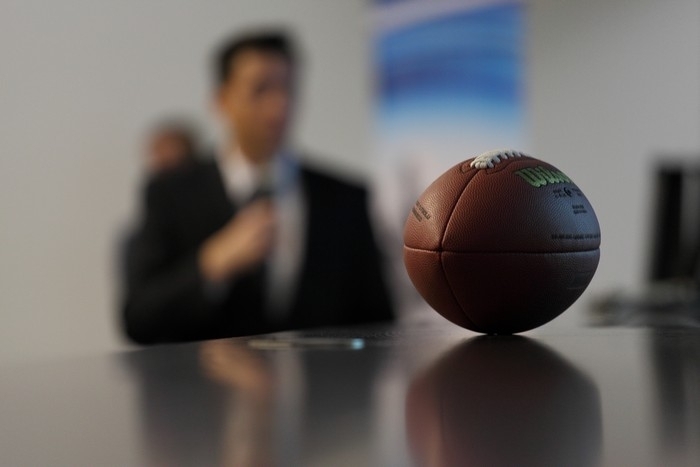 The Polish League of American Football (PLFA) had a few surprises in store for the scores of reporters who attended yesterday's press conference at the new National Stadium in Warsaw. 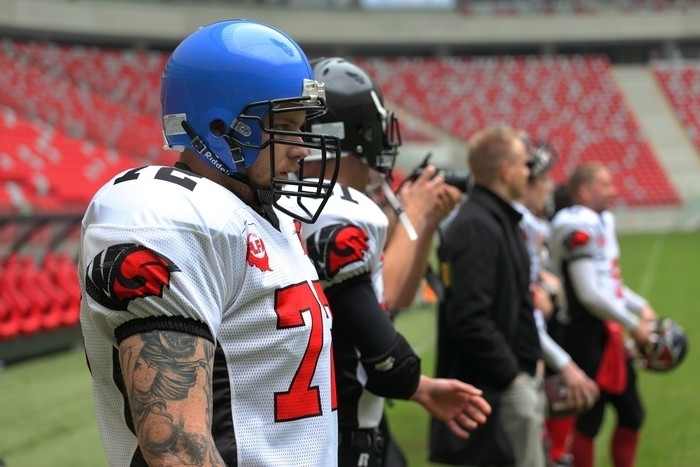 Foremost among them was the official inauguration of the league's flagship division, the 'Topliga', followed by a mini-scrimmage between two Warsaw teams. 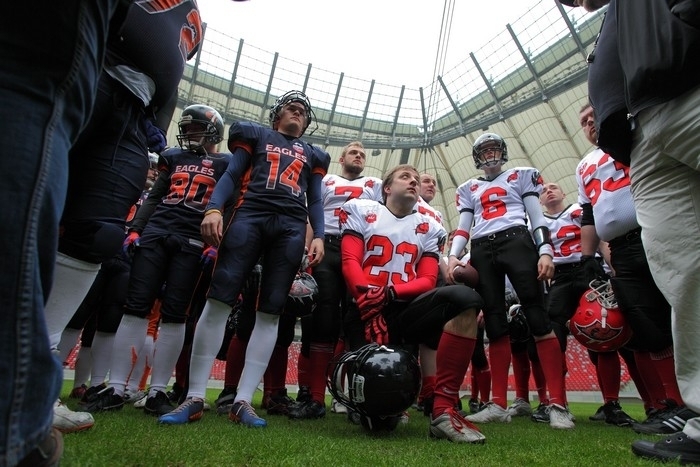 PLFA Commissioner Jędrzej Stęszewski led the proceedings. 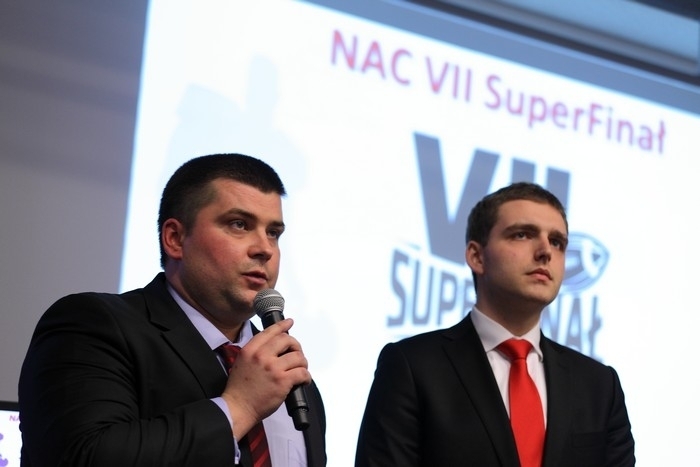 The Topliga's championship game was announced as NAC SuperFinal VII, to be played on Sunday, July 15 at the National Stadium. 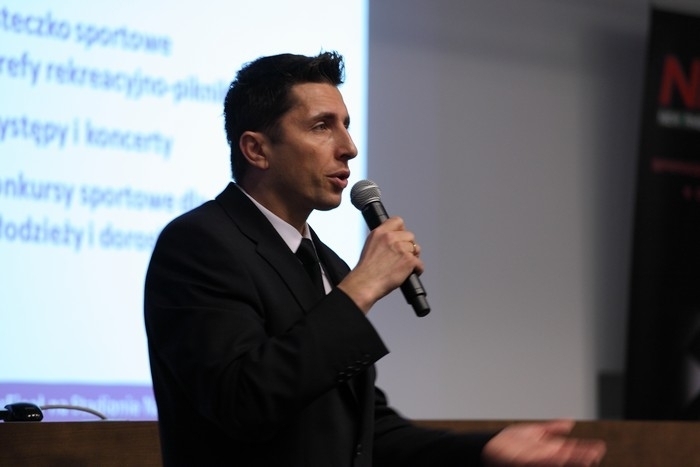 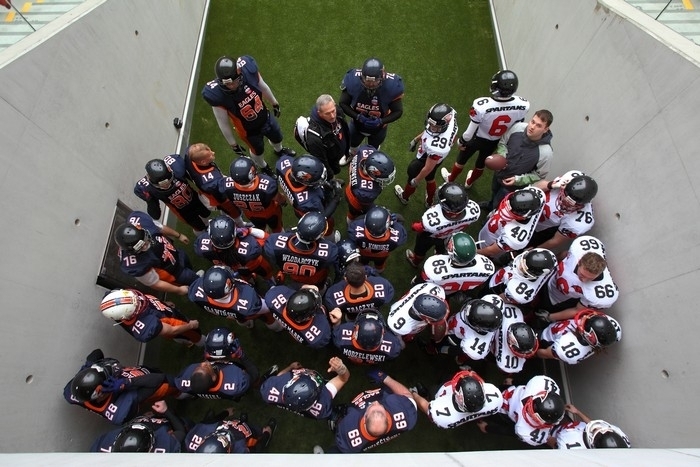 A presentation about the game included details of the pre-game festivities for fans, which will begin hours before kickoff. 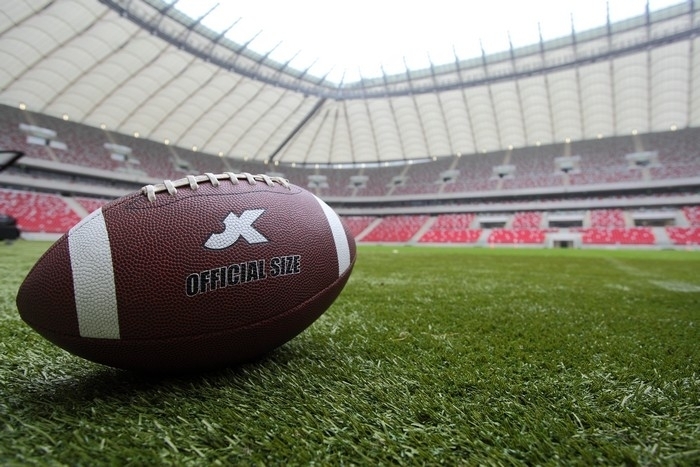 The title game's name comes from the company New American Concept (NAC), a manufacturer and distributor of high-quality garden equipment brands that was named title sponsor for the game. 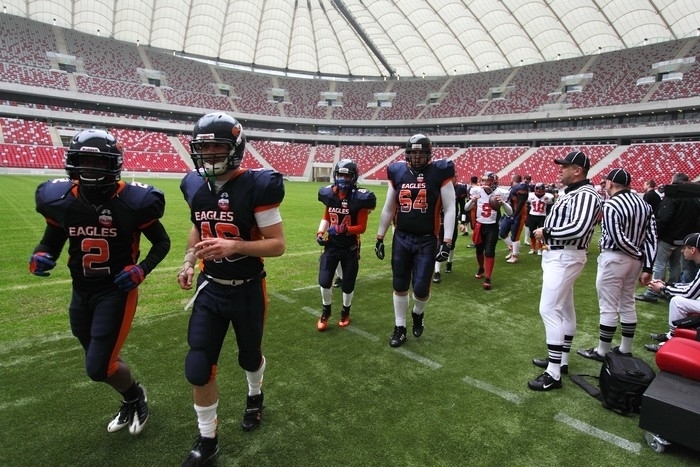 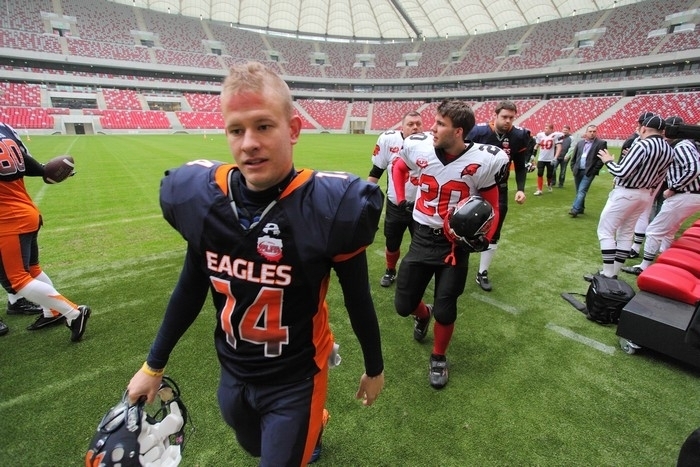 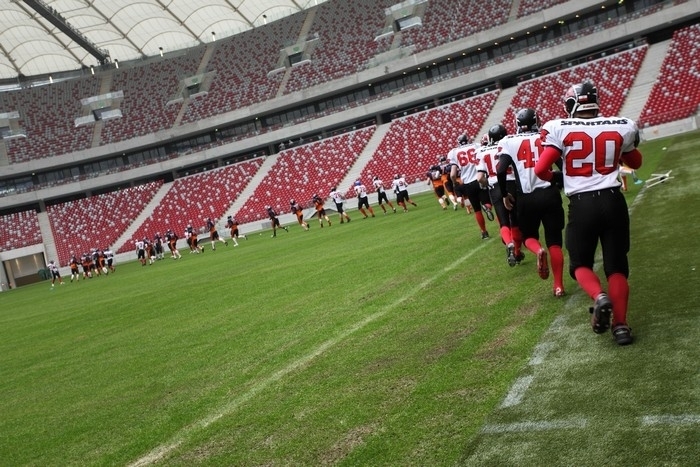 Following the indoor presentations, the media headed out to the field for a short practice game between the Warsaw Spartans from PLFA I (the second-highest division of Polish football) and the Warsaw Eagles, one of the favorites to lift the Topliga trophy on July 15. 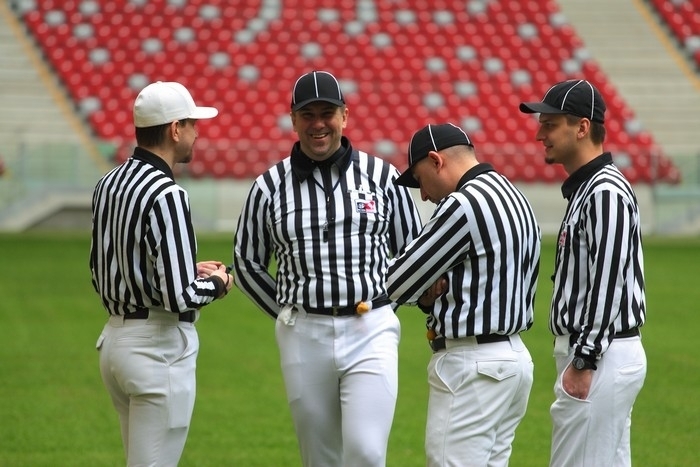 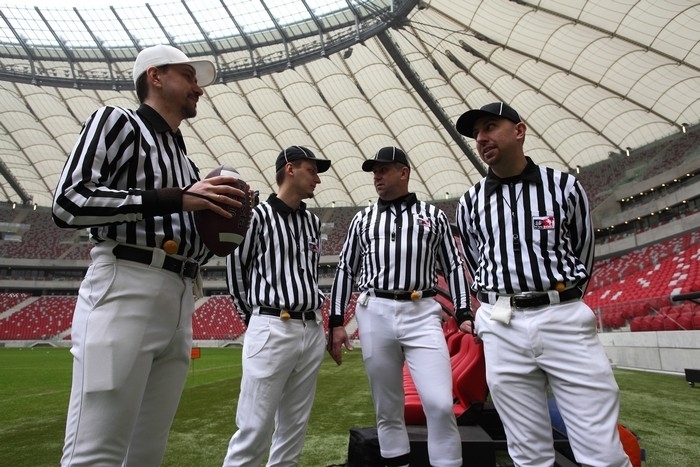 The teams played a 25-minute full-contact scrimmage, complete with officials from the PLFA's officiating department. 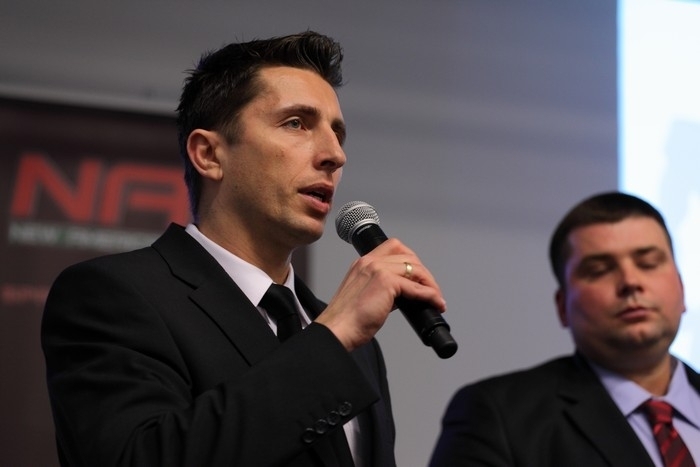 The press conference coincided with the beginning of the seventh season of football in Poland. 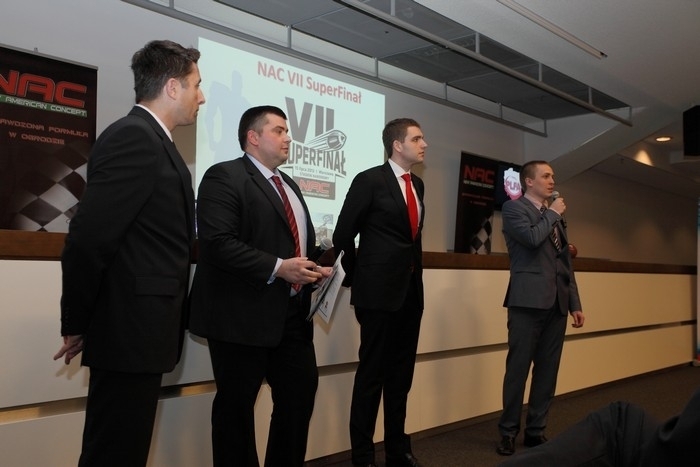 The road to NAC SuperFinal VII starts this Saturday, when Kozły Poznań visit the Eagles in the capital. 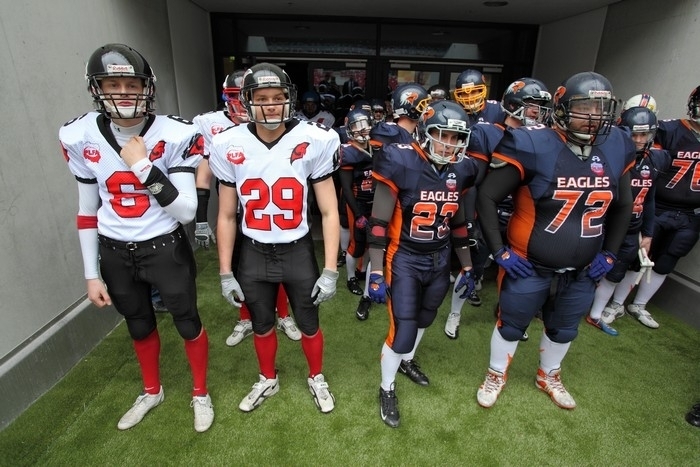 Those two teams will join the Wrocław Devils, Krakow Tigers, Gdynia Seahawks and Silesia Rebels in Topliga play this season.